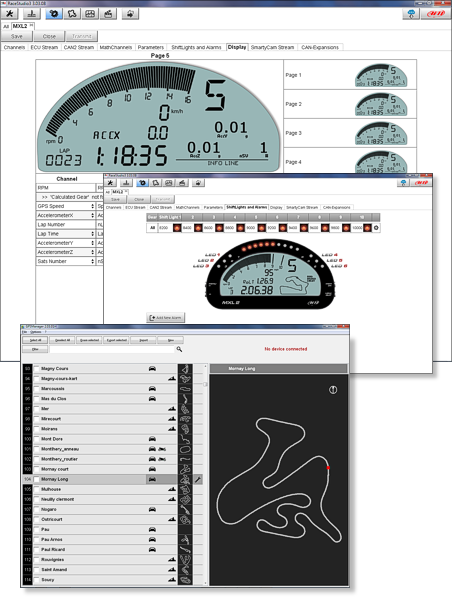 MXL2 is the dashlogger providing all the info needed by professional racers as well as by newbies. The product has been designed with the aim to make configuration and usage smooth and easy either for amateurs and for people with sophisticated technical background. their end of scale and measure units. with 1, 2, 3 or 4 different data. 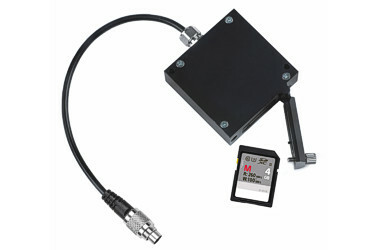 in information display and alerts. 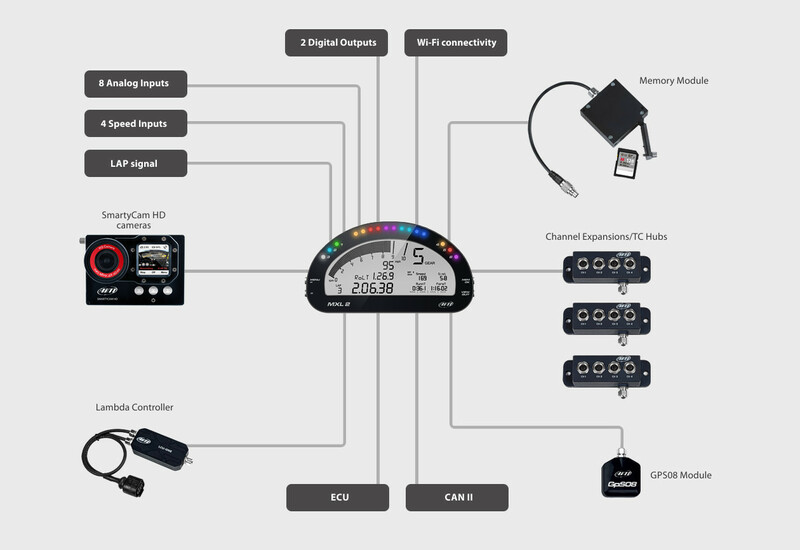 ECU values, expansion values, GPS information or math channels. 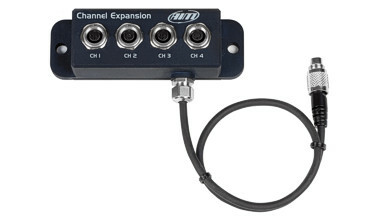 Two digital outputsMXL2 features two digital outputs. 10 LED shift light array is found in the MXL2. 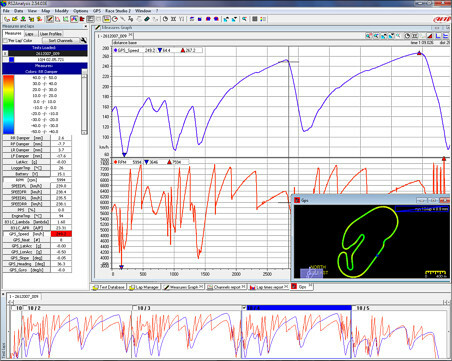 With Race Studio 3 you can also analyse all data recorded by MXL2 and downloaded to your PC: graphs, histograms and tables will help you study your performance, providing an objective support to avoid mistakes and improve performances.